Floating…not the magician suspended in air (with strings) type… more the in-water type. 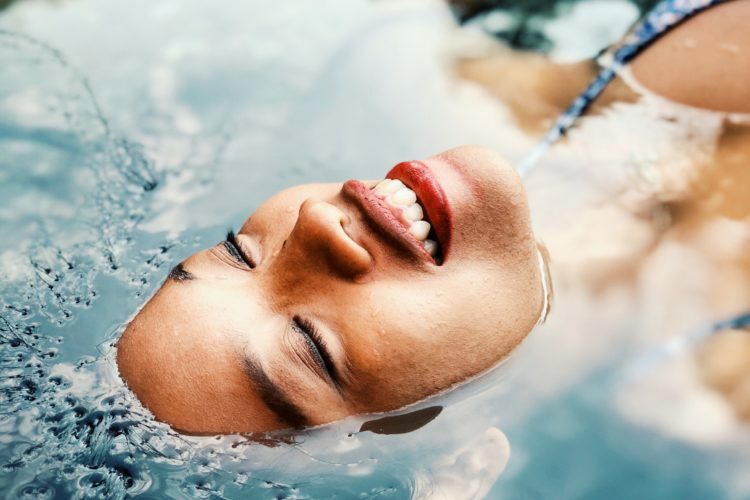 I’m sure most of you have heard of float houses…or perhaps floating in the Dead Sea where the salt concentration keeps you afloat without you needing to put in effort so you can relax. Float houses were a huge trend a few years ago and they caught my eye but I’d never actually committed to trying them. After continually seeing coupons for them on Groupon and hearing rave reviews from colleagues I decided I’d take the plunge (though not literally…you do float after all). I tried a float tank – there are different types of containers you can float in…pods, tubs, tanks – and it depends on how much space you want. 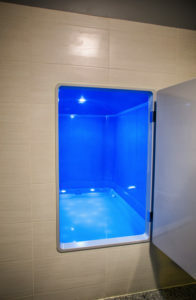 I felt that a pod would be a bit tight and an open tub would probably be distracting so tank it was. I don’t know why I imagined that it would be deep (because that would be a safety hazard for some people) but it was very shallow…like up to my shins shallow. I felt like I was entering a room that consisted of a bathtub base. It was easy to float but it does take a couple of minutes to just let go and relax, finding the right hand positions and letting your muscles just relax without worrying that you’ll roll over or have salt water in your eyes. I found it a bit hard to breath the warm air in the tank initially but it bothered me less as time went on. I’ve been doing a lot of meditation lately so I did a progressive muscle relaxation for the first 10 minutes while laying there. It was dark and I spent a lot of time focusing on breathing and wondering if my muscles were completely relaxed. Next thing I remember is the lights coming back on – I totally fell asleep. I did however feel refreshed after – likely a result of napping and taking a shower after. I didn’t feel like the float helped with any injuries and I didn’t feel like I had any different experiences in it but it worked as a nap for me. The session itself was ~75 minutes. Would I do it again? Probably not – I’ve found the perfect nap tool for myself (more to come in the next post!) and I didn’t feel like I got any additional benefits from the session. That being said, YMMV (your mileage may vary) – I’d recommend you try it if you’re curious and see if it helps you in any way! Also, if any of you are wondering about your hair – mine was fine after the session. Subscribe and keep up with the adventures – coming up next time: How I Finally Learned to Nap.